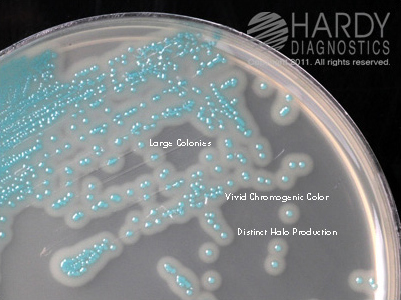 HardyCHROM Listeria is a chromogenic medium recommended for the selective isolation, differentiation and enumuration of Listeria monocytogenes from food and envrionmental samples by colony colour and appearance. 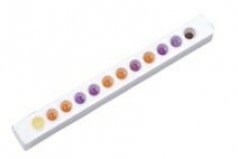 Traditional isolation methods for L. monocytogenes require multiple media types and can require up to 10 days of incubation, with HardyCHROM Listeria there is only a single broth enrichment step for a total incubation time of 48-72 hours. Differentiates between L. monocytogenes and L. ivanovii from other Listeria sp.